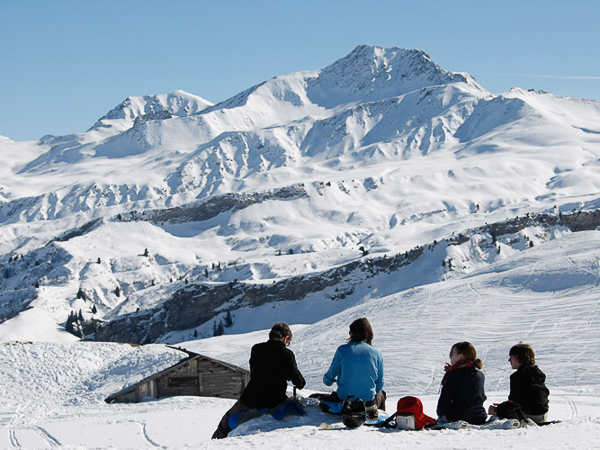 At the heart of the Beaufortain area of the Savoie, Arêches-Beaufort is a charming traditional ski village, with a range of ski runs meandering through the forests that pass beside beautiful wooden chalets, overlooked by Mont Blanc. The piste map only tells half the story; a magnet for ‘local powder heads in the know’, Arêches-Beaufort prides itself on its accessible back country off-piste terrain. It has the reputation of being the ultimate secret spot, and a great place whether for those venturing off-piste for the first time, or for more experienced powder junkies. With a transfer time from Geneva of 2 hours it’s a bit further than some other resorts, but this location offers the ideal opportunity to get away from it all and enjoy some unspoilt authenticity with plenty of opportunity to try something a little different. For this reason, all of our packages in Arêches-Beaufort are available for groups of 6 or more guests only – please contact us with details of your group’s requirements and for more information. 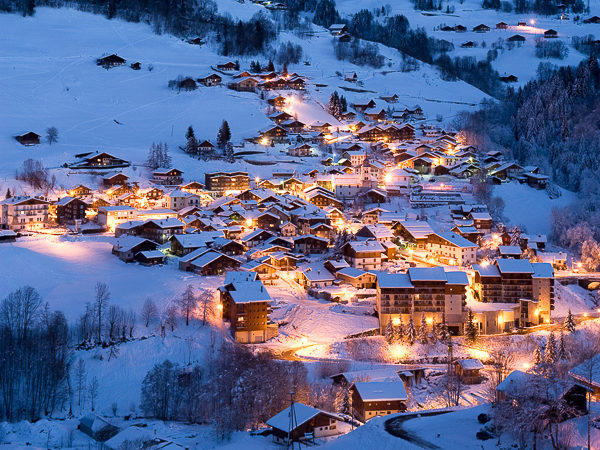 Situated at the head of a valley, at an altitude of 1100m, the eco-responsible resort of Arêches-Beaufort offers an exceptional snow fall record – one of the best in the Alps – meaning you can ski in stunning natural surroundings from just before Christmas right through to April. 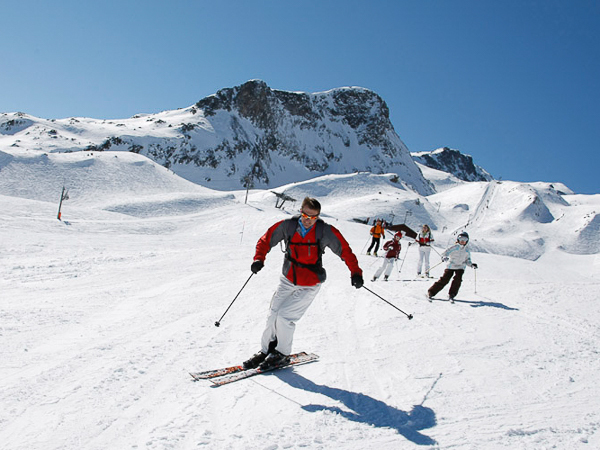 With high altutide skiing, an abundance of accessible off-piste terrain, and options for a combined vertical drop in excess of 1000m, this is a small resort with plenty on offer for skiers of all abilities. Yet Arêches-Beaufort offers so much more than just piste skiing. It also offers the rare opportunity to experience ski touring within a safe environment, with marked trails rising up above the resort. If you want a genuine mountain experience for your group short break ski holiday, Arêches-Beaufort might just be the perfect ski resort for you. If you have any questions about skiing or snowboarding in Arêches-Beaufort or any other aspect of a short ski break in the French Alps, we have 15 years of local knowledge to share and are here to provide all the information you need. 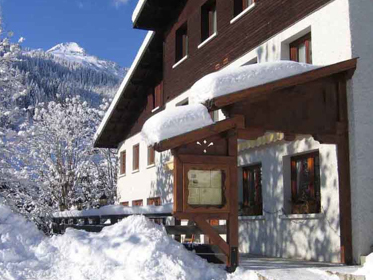 Situated in the village centre this chalet-style hotel offers a great welcome and friendly service. A regular base for groups and activities the hosts know what is important – so expect great food, inclusive packages and lots of local insight. 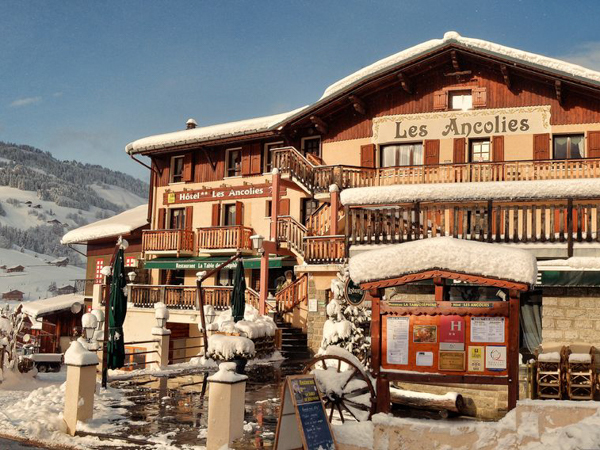 This traditional chalet-style hotel is located in the heart of the village and only 250m from the ski slopes. Comfortable rooms and a spacious lounge area complete with pool table, baby-foot and board games make for a cosy, relaxing stay.